Earlier this week, we came across some press renders of the alleged HTC Bolt, and now, some more images of the handset made their way on to the internet. The folks at PhoneArena received some lives images of the alleged HTC Bolt which is expected to launch on Sprint. 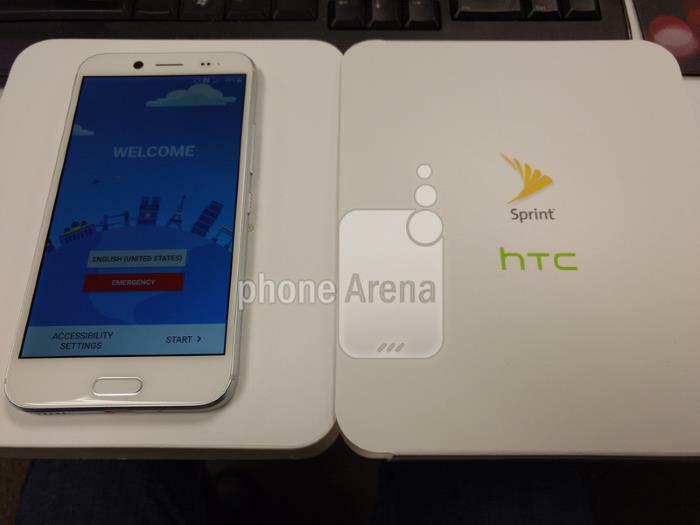 The tipster also sent images of the handset, along with the retail box with Sprint branding on it. The images show that the alleged device is expected to come with Android 7.0 Nougat as its operating system and may as well ditch the 3.5mm headphone jack. The alleged device also passed through the FCC, certifying it to launch in the US market, but it seems it will launch on Sprint initially. Rumors suggest the handset is expected to launch with a 5.5-inch display with a resolution of 1920 by 1080 pixels, as well as a Snapdragon 810 processor paired with 3GB of internal storage and 32GB of internal storage. Other rumored features include a 16MP camera with 4k video recording capabilities, 8MP front-facing camera, a 3,200 mAh battery and water-resistance. We’ll update you if we get to hear anything more about the launch of the HTC Bolt.